When I was a kid, I went trick-or-treating with my friends, just like almost everyone else. (In fact, I went with a friend in her neighborhood because the getting was good- one guy owned a wholesale company and would hand out one pound candy bars.) And, my kids go trick-or-treating (photos may follow later- they're going as vikings- no, not the football players- this year). I've always been a little uneasy with the darker side of this day. It started in darkness, and it really hasn't gotten all that much better as it morphed over the years. Harvest festivals are all well and good, but the darkness that surrounds its beginnings is hard to ignore or deny. No, I don't think that all the Wiccans who celebrate Samhain today are evil or anything like that (I'm not counting those who intentionally practice the dark arts in that group... and that isn't a judgement of their religion, just their intentions). I've just never been a fan of goblins and ghouls and ghosts and haunted houses and all that stuff. (My kindergarten teacher dressed up as a witch on Halloween, and I completely freaked out... get the picture?) I don't like scary movies (except for the rare few that are intellectually and/or psychologically intriguing). I avoid gore (the man and the carnage). Maybe it's because I believe in the real thing- there is real evil and a real Devil and real demons. I don't need to see the commercialized versions, thankyouverymuch. Dutch witches were guaranteed a financial treat when the Leeuwarden District Court reaffirmed their legal right to write off the costs of schooling _ including in witchcraft _ against their tax bills. Those costs run to thousands of dollars. The court found on Sept. 23 that a witch can declare schooling costs if it increases the likelihood of employment and personal income. Uh... yeah, I know it's in The Netherlands, but... can't you see some idiot lawmaker in the States thinking this is a good idea. It is the adults who should be afraid this Halloween. Not of ghouls and goblins, but of permanently scarring their children. In a recent study of six- and seven-year-olds in the Philadelphia area, Penn State psychologist Cindy Dell Clark found that most parents underestimate just how terrifying the holiday can be for young kids. Halloween has been scaring the heck out of kids of all ages for centuries. Precisely. The problem only came up when people started shielding their kids from the world around them. They are so afraid of damaging their kids (ruining their self esteem or shielding them from all pain or keeping them from getting each and every boo-boo) that they don't give their children the tools they need to cope. There's nothing wrong with a little fear every now and then. OK... OK... I'm done... I'm not sure where I was going with all of that... there has to be something better than a demonic holiday for everyone to participate in. But, until then... trick or treat! There's an awesome blog with some great political cartoons called The Dry Bones. Here's a sample. Check 'em out. Very good stuff! President Bush just nominated Judge Sam Alito to replace Justice Sandra Day O'Connor in the Supreme Court. Unlike when he nominated Harriett Miers to rave reviews by the Dems, this time the "loyal opposition" launched their first salvos before Judge Alito's nomination was officially announced. The choice was likely to spark a political brawl. Unlike the nomination of Harriet Miers, which was derailed Thursday by Bush's conservative allies, Alito faces opposition from Democrats. So, will this be the cage match many conservatives have been itching for? We'll see. He's definitely got a paper trail, and he's been called "Scalito" or "Scalia-light" because of his judicial philosophy. This could be interesting. I just want to hear what he has to say during the hearings. Is that too much to ask? UPDATE: Chuckie Schumer (D-NY) has already thrown out the "F" (filibuster- what did you think I was talking about?) Bomb. You remember the F Bomb, don't you? That thing that the Gang of Fourteen was supposed to keep from happening. That thing that, if they threaten it, I want to see Schumer and Kennedy and Reid and Kerry and DiFi and Boxer on the Senate floor at 3am, reading the Complete Works of Shakespeare. (OK, I don't really want to actually see that- but I do want to hear about it the next morning.) If they're going to threaten to filibuster (according to dictionary.com, a filibuster is "The use of obstructionist tactics, especially prolonged speechmaking-emphasis mine, for the purpose of delaying legislative action"), they better well do it instead of just holding their collective breath and saying "we won't vote, and you can't make us!" Geez, guys. A Democratic-controlled Senate unanimously confirmed Judge Alito for the Court of Appeals back in 1990. Give him a chance! UPDATE- John Cornyn (R-TX) just said that the Dems have issued a fatwa against Alito. That is too funny. I think I like at least one of my Senators. UPDATE- Bob Beckel just commented that there are very few people (Bob said maybe 2 people) that President Bush could have nominated who would have cause MORE of a fight because Alito's views run counter to the mainstream view of America. Hmm... I like him already!!! This is going to be an... odd... post. There is a major language (and some content) warning for the links. You have been warned. So... there's this squirrel. With an anger management problem. His name is Foamy. He has a friend named Pilze, who is also a squirrel, who has enough psychosomatic disorders to write a medical textbook. There's another squirrel named Beagley, and he's a British punk squirrel. They all hang out with Germaine, a goth chick. They are all part of this bizarre, twisted internet cartoon series. Like I said, Foamy has an anger management problem, so he uses a lot of foul language. (However, he is a South Park style conservative, so at least he's not a moonbat.) And his friend Pilze is on 132 pills a day (plus he's addicted to coffee). It's not that Germaine actually owns them... she just can't seem to get rid of them. If you want to see what I'm talking about start here, and then go here. Then maybe this one and this one. And you will end up saying things like "Oh. Coffee. Thank you. I would love some" and, if you're not careful, "I need a bagle, and you know I need a bagel. A bagel with cream cheese, yeah the creamy cheese, everybody likes the cream and the cheese and the cheesy cream. And a cup of coffee. I definitely need a cup of coffee." And then, after you begin quoting Foamy without realizing it, you can take this test, and see which character you are. to submit yourself to everyone elses idiocy. Foamy. Bitchy, and worse humor. Go home. Which Neurotically Yours (Foamy) Character are you??? The Texas Book Festival is going to be on the State Capitol grounds this weekend. The stated purpose of the festival is to promote Texas authors and raise money for Texas public libraries. Great idea... bring a bunch of Texas authors together to highlight their work, and maybe raise some money for literacy programs. There is an impressive list of authors doing readings and giving talks over the weekend. The event kicks off Saturday morning with a talk by former President Bill Clinton. What am I talking about? Well, Mrs. Strayhorn is currently the Texas State Comptroller, and I suppose she does a good job. But it really must be difficult to find time to actually do her job when she's been gunning for the Governor's office since her first day in the Comptroller's office. She has used every opportunity presented to her to slam Rick Perry and the job he's been doing as Governor. (Granted, I don't think he's the be-all and end-all of governors... he's made mistakes... but, geeez). Her latest attack on Governor Perry is "The Conservative Commentary", a series of radio ads featuring "One Tough Grandma" , each one blasting another of Perry's mistakes (some of which were not his fault). That would be fine... if it was the election season. You see, the election isn't until November. Of 2006. I don't know who's advising her, but I almost think it's a Perry plant. I mean, she's going to alienate potential voters by whining this much this early. We want positive change, not nagging hacks with no new ideas. And that "One Tough Grandma" thing... memo to Carole... we don't want tough grandmas... I prefer my grandmas soft and good at hugging. What exactly does it mean when you start getting hand-me-downs... from your own children?!?! Well, it looks like Scooter Libby is going to be indicted for lying to the grand jury. Here's the deal. There was no law broken originally. If Scooter (and why in the world are people still calling him "Scooter"? The man is in his 50s, for goodness sake!) lied to the grand jury when the truth would have done perfectly well, then he deserves to be indicted for committing a felony. The Left so wanted to take down the Administration for taking down their political enemies. They have been salivating at the prospect of Karl Rove being indicted and "frog marched" out of the White House. All I have to say about that is "too bad... so sad." Looks like Harriett Miers has withdrawn her name as the nominee to the Supreme Court. How do I feel about this? Not sure. She wasn't the best nominee... then again, it looks like the best nominees all said "no thanks." What does that say about the process when good justices don't want to put their families through all of that grief? And, let's not even get into this person's obvious psychological problems. That's far above my pay grade. Steve Harrigan from FoxNews is pretty darn crazy. He was one of the imbeds during the Iraqi invasion. He was out in the middle of Katrina. And Rita. And now he's standing on a street in Everglade City, Florida, while Wilma makes a quick visit. Yeah, I know he's not the only reporter standing outside in the middle of the hurricane. But he just seems to be the only one who is ALWAYS in the middle of the nasty stuff. The good news is that Wilma is no longer moving slowly. She's making her way across Florida at over 20 miles an hour. Keep the citizens of Florida in your prayers. And tell FoxNews that their reporters need more hazard pay. It is with a heavy heart (and droopy eye lids) that I must tell you of the passing of my coffee maker. The Mr. Coffee kicked the grinder last night after attempting an evening pot of java. My Mr. Coffee had a full life. He was part of the family for over 10 years. He provided many, many pots of consciousness-giving brew to those who knew him. He is survived by his younger brother, the 4-cup coffee maker, a sister, Sunbeam the Hot Shot, and a distant cousin, the Espresso Machine. Mr. Coffee will be interred next Friday at a local landfill following a brief yet emotional ceremony. 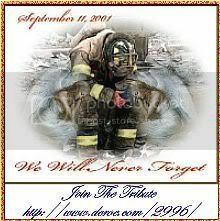 In lieu of flowers, please share a cuppa joe with family and friends. Yesterday, a woman in San Francisco was arrested after throwing her three children off of a pier into the Bay. She said that voices told her to do it. Lashaun Harris told authorities that voices had told her to throw her children into the water, the San Francisco Chronicle reported. It was not immediately known whether she had an attorney. The pier is in the Embarcadero area, which draws tourists to the historic Ferry Building within view of Coit Tower and the landmark Transamerica pyramid. It's about a mile from Fishermen's Wharf. It was reported on FoxNews that Harris' mother was trying to gain custody of the children, presumably because of her daughter's mental illness. While the entire story is horrifying on its own, that's not what's really bothering me about this. Someone called 911 after seeing this woman throw three children off of a pier. One at a time. After she had removed their clothing. Because voices in her head told her to do so. If I had seen any of this, I would have heard voices in my head, as well. The voices would have screamed first for caution ('uh... why in the world is that woman taking the clothes off of her kids... that's... odd') then shear terror ('O.M.G. She just tossed that baby into the Bay!') then action. No, I wouldn't have just called 911 to report what happened. I would have stopped her. Grabbed the kids. Ran away with them and then called the police. Why is only sane people who are deaf to the voices in their heads? Sometimes those voices are a good thing. By now, most of you have heard about the supposed desecration of the bodies of some Taliban killed in Afghanistan by some American soldiers. The whole world is up in arms at this "atrocity". According to Jason Coleman, things might not be as they appear. Now it's important that after you read the articles and you watch the clip to realize that the troops that allegedly burned the bodies (to my knowledge, the actual event video hasn't been released as of this writing) did so because of legitimate hygiene concerns. The Taliban soldiers had been dead for over 24 hours and were begining to become a concern. So in keeping with good battlefield hygiene practices, they disposed the bodies in the most effective and safest means possible, burning. It's quite obvious that soldiers dug in around a position, with enemy forces in the vicinity, cannot be expected to go out and bury the bodies; and the Taliban certainly wasn't going to come out and collect them (this is a war, remember). So we can't really fault them for burning the bodies. Now the reporter on the scene, Stephen Dupont, who was embedded with the American troops, himself admits that it was later, when a PsyOps unit arrived on the scene, that more was made of the burning than actually took place, IN ORDER TO "smoke out" and "provoke" a fight with other Taliban fighters on the scene. Taken as it is, a separate tactical event, this is not that big a deal. The goal of armies is to find and engage the enemy, to root them out and destroy them. PsyOps has long been considered a legitimate and effective means of waging war. All parties to conflicts use it and it generates the desired effects. Makes sense, right? And all of the facts will come out in the investigations. The problem is that, even if the soldiers are cleared of any wrong doing, it's too late. Our image is tarnished yet again, by a media who fervently believes that the US can do no right and our enemies can do no wrong. It looks like Wilma has slowed down a lot as it approached the Yucatan peninsula. It's kind of stuck in an eddy. If you've been to Schlitterbahn or any other water park with a "lazy river", you know what I'm talking about. You're floating along, minding your own business, and suddenly, you're stuck between two currents, and you have to fight to get back into the main current of the "river." Well... that's what's up with Wilma right now. No chance of her losing a lot of strength before she wrestles herself free, though. I guess the good news is that this gives the people in her path a little more time to prepare. That's a good thing. Sorry about the lack of posting lately. I haven't been overly inspired to post anything. Meirs? nah. Hussein's trial? ick. Delay and Frist and Rove and... ? bleh. Wilma? well, yeah... I'm sure I'll be posting about her as the week goes on. On top of that, the Lordex therapy I've been doing is helping... and not so much... My lumbar spine is pretty much where it's supposed to be, and the muscles are (grudgingly) building up to protect the disks that aren't quite up to snuff. There is very little if any inflamation left in the that area. (Woohoo!!!!!) The bad news in all of that is that little things that (evidently) have been a little out of whack for a while (but that I didn't notice because my back hurt) are working their way to the surface. Then the chiropractor gets to tweak those problems. Until all of this gets worked out, I can't spend a lot of time sitting up... which makes typing difficult, to say the least. Don't give up on me, though. I'm sure I'll be inspired by something sooner or later. Yes, it's Tuesday, which means... it's time to dance! Head on over and see what the Ladies of the Cotillion have to say this week. And, then head on over to Beth's to vote on the King of the Cotillion. Voting closes Sunday night. 'What's that?' you ask. Well... it's also known as coffee. Cafe. Cafe noir. Cappuccino. Decaf. Demitasse. Dishwater. Espresso. Ink. Jamocha. Java. Joe. Mocha. Mud. Perk. You get the idea. It's the second largest traded commodity behind oil. Most importantly, it is the sole reason why many night-owls can function at the inhumane hour of 8am. Al Gore is running at the mouth again, this time in Sweden. (It was mentioned by someone that he never says this tripe in the States where someone can get in his face and call him on his delusions). Let's start with the one thing he got right. umm... yeah, and we're kind of happy that the Electoral College is alive and well. Let's see... if he had won the election (oh, wait! Did he just admit that he actually lost? Be still my heart! ), our taxes would be through the roof, the recession that Clinton gave us would probably be a full fledged economic depression, there would be severe restrictions on the Internet, and... sorry, I can't go on... I'm scaring myself. "We would not have invaded a country that didn't attack us," he said, referring to Iraq. "We would not be trying to control and intimidate the news media." Of course you wouldn't be trying to control and intimidate the news media. They were on your side! The only people trying to "control and intimidate" the news media are... wait for it... the "Digital Brownshirts" in the blogosphere. Bloggers fact-check the media and make sure that everyone knows the blatant bias of the Main Stream Media. Those are the people you would be trying to control and intimidate. Too bad. So sad. "We would not be routinely torturing people," Gore said. Excuse me? "Routinely torturing" people? Please tell me you're not talking about the military's treatment of POWs... Detainees in Gitmo have more to eat and better health care than they'd have in their home countries. Detainees in Afghanistan and Iraq can pretty much say the same thing about their care. The only "torture" was carried out by a small group of people who were punished for their crimes. Global warming? But... I thought the planet was cooling. I thought the sun was warming everything in the solar system. I thought... I thought... oh, yeah... I remember what I thought. Gore, Mr. "Combustion Engines are Evil but I drive an SUV", would rather our society turned back to a more... organic, primitive time. This from the man who created the Internet. Mr. Gore, should the United States be tolerant of risks to our security, especially risks from people who give aid and comfort to the enemy by spreading lies and half-truths around the globe? That is what you were doing, in case you hadn't realized it. You were talking down your country, emboldening our enemies, possibly putting our military men and women in danger. I'd tell you to think about that before you open your mouth again, but I know better. You can't help yourself. 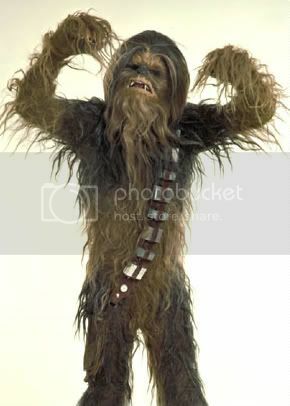 A long time ago, in a galaxy far, far away, a Wookiee named Chewbacca growled and howled his way through "Star Wars" movies. On Monday, the actor who played him will take the oath to become an American citizen. British-born Peter Mayhew will be among 441 people from 77 countries who will become naturalized Americans in a ceremony in Arlington, Texas. Welcome to America, Mr. Mayhew. I hope you enjoy your new home. It's Tuesday, and it's time for The Cotillion. It's an abreviated Cotillion this week, hosted by North American Patriot. Bombs, I mean... first, we had Hinrichs blow himself up at OU during the OU/KSU game. Then, last Friday, there was an explosive device found at a UCLA apartment. And, today, three explosive devices were found near the dorms at Georgia Tech. Three explosive devices found in a courtyard between two Georgia Tech dormitories on the East Campus Monday morning were part of a "terrorist act," an Atlanta police official said. One of the devices exploded, injuring the custodian who found them inside a plastic bag. Two others were detonated by a bomb squad. Why do none of those options appeal to me? What makes the Georgia Tech incident interesting is that authorities have already labled it a "terrorist act." What do they know? If the tsunami was Allah's punishment on the visitors in south Asia for their sexual perversion, and the hurricanes that hit the Gulf Coast in recent months were "terrorists" for Allah sent as a wind of evil and torment sent by Allah to America, then what are Muslims saying about the earthquake in Kashmir over the weekend? I don't want to belittle the suffering of the people of India and Pakistan who have been injured or lost loved ones in these horrific quakes. Far from it. My thoughts and prayers go out for them. Nations from all over the world are stepping up to help in the rescue effort, providing food and equipment and personnel. And I'm proud of our response. This has just made me more than a little curious. When "acts of God" happen to their enemies, Islamic fanatics give Allah the praise of pouring his wrath onto the infidels. When an act of God kills tens of thousands of their own people, do they still praise Allah for chastising them? Do they wonder what it was that caused his anger? As a Christian, I don't think that all of these natural disasters are judgements on groups of people. I can't help but think that God is trying to get our attention, trying to turn us back to the Bible. I'm just wondering what other faiths think about all of this. Well, I'm right so far. The Cards beat the Padres last night 7-4, so they play Wednesday against whoever wins the Braves/Astros series. And, I really don't want to talk about the Shootout, except to say that it was UGLY. Now, it's the Blog Sabbath. Go... get off the computer for a while. 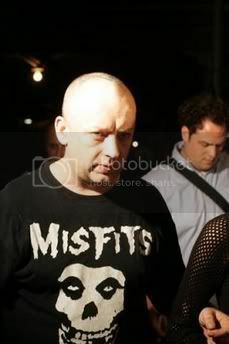 Can anyone tell me who this "misfit" is? You're thinking to yourself, 'uh... no. I've never seen that guy before in my life.' And you would be... WRONG. That, my friends, is none other than George O'Dowd. Never heard of him? You may know him better in his younger days. Yup. That's Boy George. Wow. He has changed a bit, hasn't he? Well, he's back in the news. Evidently, police responded to a burglary call at his apartment and found some cocaine. Oops. He says it's not his. Well, it was next to his computer. That's not a good sign. A lot of people on the conservative side of the blogosphere have been a bit... apoplectic about the President's nomination of Harriett Miers to the SCOTUS. The Other Beth, however, has an interesting theory. Maybe Harriett is THE best nominee right now. Personally, I'm not quite ready to tar and feather Ms. Miers. I want to hear what she has to say. I'm curious to see if Dr. James Dobson will be issued a supoena to testify at the hearings. I'm a little disappointed that the President didn't nominate a more... well-known candidate. But I want to get to know more about her judicial philosophy before I say she's not worth it. But... go read what Beth had to say. She has a very valid point. UNICEF, in its efforts to raise money to help the former child soldiers in Burundi, have a new commercial (well, a 25 second "film") in Belgium. They claim this is for "adults only", but you know kids are going to see it. And it's going to be very upsetting. I know it's just for the shock value, which they got. There had to be a better way to raise money for those kids than this. Messing with children's cartoon friends is just... well, it's just wrong. What's Next? Dogs and Cats Living Together? It has to be a sign of the Apocalypse, right? I mean... James "The Mouth" Carville, getting something right? It can't be!!! The problem with Democrat campaign speeches is “litany,” and they need more narrative like Winnie the Pooh stories, political consultant and pundit James Carville said. At a speech sponsored by the Northwestern College Democrats Thursday evening, Carville told the audience that Democratic candidates can’t succeed by shouting out to every group in a crowd. Instead candidates should tell stories with the three elements of any good story — setup, conflict and resolution. “Sometimes the problem with being a Democrat is being a Democrat,” he said. Drat! Who told him! The good news is the LLL won't listen. I mean... they're not listening to this report, so why should anyone think they'll listen to The Mouth when he tells them how to win? Boston is out of the playoffs. Let's see... now the Angels need to tap into their divine and beat the Yanks... Houston needs to win... the Cards need one more... Then... the White Sox beat the Angels in 5, Cards over the Astros in 3, and we have an I-55 Series. Yeah... yeah... I know... "no one will care about an I-55 Series!" And? No one cared about the I-70 series (Cards v. Royals), but we loved it. Hey... give me this, at least. I mean... my Blues aren't doing a dang thing yet. The Bats' season hasn't started yet. And... uh... um... I'm not sure I want to talk about The Shootout tomorrow. (But check out what Lord Spatula I, K&T has to say about it). I'm not a big Subway fan. It's nothing against them- I'm just not a huge sandwich fan. I do like their wraps- more stuff, less bread-like-material. But... I may have to go there more often, if for no other reason than to support them after this short lived but brilliant campaign. Two years after relations between the US and France soured over the Iraq war, French-bashing in America appears alive and well in light of a recent ad campaign by a fast-food chain linking France and cowardice. 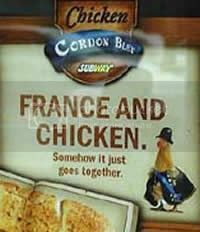 The ad by the Subway chain touted a cordon bleu chicken sandwich with the words "France and chicken, somehow it just goes together". A photo of a chicken dressed like Napoleon accompanied the advertisement. Subway ran the ads in about 10 US states for nearly a month and pulled them in September following an outcry by members of the French expatriate community and other customers offended by the racist undertone. Technically, it's not racist. "French" isn't a race... it's a nationality. There's a difference. Subway says that it wasn't trying to say that France was full of cowards, but to draw a comparison between French cuisine and their new sandwich. And it looks like the French ex-pats got their... um... feathers ruffled. Here's the poster. You tell me if it's offensive. Personally, I think it's inspired. I love the chicken's costume! Yup... going to have to stop by Subway sometime soon. ... okay, that was really, really bad. Then again, so is what this church is doing. The First Assembly of God Church has a Fear Factor ministry that had youths swallowing live goldfish — if they were up to it. The church's youth minister says it teaches children about fear, but a grandparent questioned it and a pet shop owner called it animal cruelty. "Fear Factor" is a reality TV show in which contestants compete by participating in dangerous activities or by eating stomach-turning foods for cash prizes. "We need to be realistic about what the Bible says about fear and not be afraid to share our faith in school," youth minister Anthony Martin told the TimesDaily in a story Thursday. "We can't let that fear rule our lives." Well, that's true. We can't let fear rule us. And I understand their theory. Appeal to the youth by embracing parts of their culture. The church I go to does that, to a certain extent. We use secular music and movie clips and stuff like that to draw people's attention. And it can work. But, I have problems with this on several levels. First, they chose a not-so-good part of our culture to embrace. Using "reality" television is risky. The people on this show are doing stupid things for money. Oh, yeah... that's a good thing to hold up to kids as something to aspire to. (Yeah... I know... it's all in fun, no ones getting hurt - except the fish, and they're talking about a different fear... blah... blah... blah... ). Second, they're swallowing live goldfish, for goodness sake. Yeah... I know it was a fad a while back (I am so happy I missed that one). Just because my aunt and uncle's friends did it doesn't mean that it's right. I'm not real happy with killing goldfish to spread the Gospel. That just doesn't sound... right. Third, they say there's no peer pressure, and the kids don't have to participate. BUT... they can't advance in the competition unless they go through with it. That's just not right. I do have a solution to their little problem. When I was a kid, I had a t-shirt that said, "What? You've never swallowed a Goldfish?" It was an ad campaign for the new (at the time) Pepperidge Farm Goldfish Crackers. They could make the kids think they were going to swallow real ones (have a fish bowl of them or something), but give them the crackers instead. 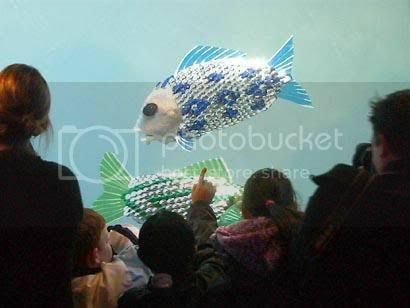 The world's first autonomously-controlled robotic fish have been unveiled at London Aquarium. The robotic fish are said to swim as fast as tuna, with the acceleration of a pike and the navigation skills of an eel. The fish, designed by Professor Huosheng Hu, of Essex University, navigate by sensor based controls, and mimic the motion of fish. Prof Hu's team worked with the London Aquarium for three years to develop a biologically-inspired robot that mimics the undulating movement of real fish. Ummm... why? I know you're asking yourself that, right? Well, they say it can help improve the performance of other underwater vehicles or maybe detect underwater mines or leaks in pipelines. Personally, I think they did this just to see if they could. Well... I saw this at No Pundit Intended, who got it from Cobb, who started it. After a year of temper tantrums, the NHL owners and players have put aside their petty differences, ended the lockout, and got back to the business of hockey. Tonight, the regular season kicks off tonight with new rules, new players, and hopefully a new, fan-friendly outlook. Among the new rules are shootouts instead of ties, no playing in corners for goalies, and no red line for 2-line passes. New players include Sidney "Sid the Kid" Crosby (all of eighteen years old). The new outlook can be seen in lower ticket prices and those new rules (which will, theoretically, lead to more exciting games). I can't wait for the first puck drop. Woohoo!!!! Evidently, this depressed young man, who didn't want to hurt anyone but himself, tried to purchase "a significant amount" of ammonium nitrate (an important ingredient in farming and making really big booms- think OKC Federal Building- sized Big Booms) a few days before his "suicide." Dustin Ellison, the general manager of Ellison Feed & Seed on Porter Avenue, said that a man matching Hinrichs' description had come into the store days before he blew himself up on OU's campus. Ellison said the man asked about ammonium nitrate, but couldn't offer a reason why he needed it. After the bombing, Ellison said he thought nothing of it. However, when he saw Hinrichs' photo, it triggered his memory. Oh, yeah... and he was attending a mosque near his apartment. And he had more bomb-making materials in his apartment. Yup... just a suicide... nothing to see here. And the MSM is... where during all of this???? It happens all the time. You have friends... close friends. You do things together all the time, share your lives. Then, somehow, over time, Life invades, and you drift apart. Not because of any malice... just Life. You talk once in a while, or maybe not even that often. Years can go by, and you hardly notice. Your friends cross your mind, and you think, 'hmm... I wonder how they are doing?' but you never wonder quite enough to pick up the phone. You'll do that another day, when you have more time. And then the phone rings, and you are out of time. I got that phone call today. The wife of a friend passed away. She was my age. Don't just wonder. Pick up the phone. Write the letter. Send the e-mail. You never know when you will be out of time. Joel Hinrichs (the OU student who blew himself up Saturday night not far from Oklahoma Memorial Stadium during the OU/KSU game) may (or may not) have been a jihadi-wannabe. ... authorities recovered a "significant amount" of "jihad" materials, as well as Hinrichs' computer.... those same sources indicated police and federal agents "had pulled additional explosives from [Hinrichs'] house," including triacetone triperoxide, or TATP, "homemade explosive [that is] very potent but relatively easily manufactured." While it should be pointed out that this information comes from The World's Most Alarmist Website, it is interesting to note that the investigation is being headed up by the FBI and the Joint Terrorism Task Force. If it was just some disturbed kid who wanted to start his 15 minutes of fame with a bang, why would they be interested in it? You know... when you get a bunch of women together, you never know what's going to happen. Sometimes, there are deep, philosophical discussions... sometimes a cat fight... sometimes, the subject wanders to the subject of guys. And that's just what happened with The Cotillion this week. Yeah... there's the normal round-up, if you want to see what the conservative ladies of the Blogosphere are up to this week. But... some of the ladies wanted to do something just a little different. It seems like some of the guy bloggers (not ALL... in fact, none of the ones that I consider friends) have a problem with the chick bloggers. We're not taken seriously. The guys pay attention to photo on the "About Me" page and ignore the brilliance that we may post from time to time. Well... let's turn the tables, shall we? We’ve decided to revive the (short-lived) tradition, so we can have some fun with Cotillion! I’ve already got one volunteer (not saying who just yet), but we need MORE VOLUNTEERS so someone isn’t crowned King with no brutal friendly competition! The prize: Lots of Cotillion womens’ linky love for you, a heavy dose of female attention, and of course, braggin’ rights! Maybe we’ll toss in something like you get to pick something for me or someone else to write about, or something like that. Well... the President has chosen the Dem's next victim person that he would like to replace Justice Sandra Day O'Connor. And the winner is... Harriett Miers. President Bush chose Harriet Miers, White House counsel and a loyal member of the president's inner circle, to replace retiring Justice Sandra Day O'Connor on the Supreme Court, senior administration officials said Monday. Ruth Bader Ginsburg as the second woman on the nation's highest court. Miers, who has never been a judge, was the first woman to serve as president of the Texas State Bar and the Dallas Bar Association. Without a judicial record, it's difficult to know whether Miers would dramatically move the court to the right. The lack of a judicial paper trail may also make it more difficult for Democrats to find ground upon which to fight her nomination. Democrats are going to hate her because, well... because the President likes her. The conservatives (not necessarily the Republicans, though) don't like her because she is an unknown quantity in several areas (and you know that abortion is one of those). She's never been a judge (which might be a bonus). Both Democratic and Republican Senators suggested her, which should make both sides gringe just a little. "There's every indication that she's very similar to Judge Roberts — judicial restraint, limited role of the court, basically a judicial conservative," said Republican consultant Greg Mueller, who works for several conservative advocacy leaders. Like I said... hopefully that's the truth. Let's see what all of the talking heads have to say. They know more about jurisprudence than I do. Ew... well, since I'm guessing that they only wanted living persons, there goes the top of my list, but... oh, well. But... those eleven? Yikes. Let's see what we've got... 2 religious leaders (what about separation of church and state???)... three evil capitalists (but they're moonbats, so that's ok, I guess)... three corrupt world leaders... a brainy anarchist... a rich mastermind... and Alan Greenspan???? What's up with that??? Let's see... other notables... George W Bush was #43 (how convenient, eh?). JK Rowling was #49. Bono came in 14th, and Hugo Chavez was 32nd. OK... so I think everyone know what I think of this, right? People who read the Beeb news site (and buy it hook, line, and sinker) are... umm... a few fries short of a Happy Meal. But... what do you think? Who would YOU put on your "fantasy world government"? Just to be fair, let's keep it to people who are alive at the time you post your comment, and follow the rest of the Beeb's rules. Users were required to pick at least one each from a select list of leaders, thinkers and economists, and had a free choice of any other eight, including the option of selecting "wild cards" from areas such as sport, politics, arts and design. But... since I don't have the lists of leaders, thinkers, economists, and everyone else that they used... I'm just going to have to leave that up to you. Leave your lists in the comments... this should be fun! But... But... I'm So Confused!!!! Global Warming is going to be the end of us all, right? I mean... that's why we're having so many hurricanes, right? And the polar ice caps are melting, right? And... and... everything else evil that the environmental terrorists activists are telling us. And... it's all our fault. Increased output from the Sun might be to blame for 10 to 30 percent of global warming that has been measured in the past 20 years, according to a new report. Increased emissions of carbon dioxide and other heat-trapping gases still play a role, the scientists say. But climate models of global warming should be corrected to better account for changes in solar activity, according to Nicola Scafetta and Bruce West of Duke University... "The Sun may have minimally contributed about 10 to 30 percent of the 1980-2002 global surface warming," the researchers said in a statement today. But that's not what ELF tell us. Humans are the cause of all evil in this world... right? To the layman, the relatively small changes in temperature and sunshine can be highly misleading. Reid Bryson of the University of Wisconsin points out that the Earth’s average temperature during the great Ice Ages was only about seven degrees lower than during its warmest eras – and that the present decline has taken the planet about a sixth of the way toward the Ice Age average. Ice Age? ICE AGE???? But... I thought we were going to destroy the planet with warming. Not an Ice Age. First, you tell me to break out the sun screen and flip flops, and now I'm supposed to dig out the parkas and snow shoes? Will you people make up your minds!!!!!!! Global Warming? Global Cooling? Make up your minds, people!!! During the first have of the OU/KSU game in Norman, there was a small explosion. One person was killed in an explosion in a traffic circle about 100 yards from a packed football stadium at the University of Oklahoma on Saturday night. Authorities were calling the death a suicide. The loud noise of the explosion could be heard inside Oklahoma Memorial Stadium, where 84,000 people were watching the Oklahoma Sooners play Kansas State. Officers cordoned off an area west of the stadium after the explosion and nobody was allowed out of the stadium immediately after the blast, which occurred shortly before 8 p.m., at about halftime of the game. People were allowed out of the stadium at about 8:30 p.m.
A police bomb squad detonated explosives found at the site of the blast. The area near the stadium was searched by bomb dogs. Wait... they detonated explosives found at the site? But... the person died in an explosion... um... 48 hour rule and all that, but... doesn't that kind of sound like a Palestinian work-related accident to you? It's Saturday, and that means it's a day of watching college football. The UT and Nebraska games were on one of the broadcast networks, but the rest of the Big 12 games were on Fox Sports Southwest. Have you noticed the trend on Monday Night Football to show the booth and to be able to hear the director calling the final couple of cues of the evening? Kinda cool, right? Hmmm... I guess I need to provide a little background, don't I? I'm a production team volunteer at my church. That means, on Sunday morning, you just might find me back by the gear, running the light board or the computer system, or working a camera, or tinkering with the video deck (I don't touch the sound board, and I think we're all happy about that). My official title is "producer", and that means that I call cues, put out fires (figurative and literal) and try to keep everything as smooth as possible. You know our team is doing their job when you don't notice them. Well... watching the games today, you couldn't help but notice the director because you could hear him calling cues and running countdowns throughout the day. (It wasn't the video director, because I couldn't hear each shot cue, just the main cues and the graphics cues.) It was cool, at first... but... it's kind of distracting. And, if it was just during the game, that would have been one thing. You know it's bad when you could hear the cues during the commercials!!!! Having a "behind the scenes look" at the production is a very... trendy idea. Having it constantly during the show is just... unprofessional.